I apologize for the lack of posting lately! I promise I will catch up on everything that I have not blogged about over the past couple of months: Easter printables, Plants/Seeds, Butterflies, Zoo and everything in between. We finished school last Thursday (Friday was clerical) and I just need to spend some time doing nothing. This year has been exhausting for me and May is always a difficult month for me working through the anniversary of the death of my daughter as well as her birthday. On top of everything, I am dealing with some medical issues and just need some time to take care of myself. The last day in my classroom I spent cleaning, organizing and rearranging. I wanted to try out new furniture placements before I left for the summer otherwise I would be thinking about it all summer. (Does anyone else do this?!) Unfortunately, this is the year for “deep cleaning” of my wing so EVERYTHING on the walls had to come down. The take-down is the easy part – it will take at least a day to put it all back up – in the stifling August heat in a building with no air conditioning…I’m sweating just thinking about it! So for now, this is the arrangement for next year. We’ll see how many new floor plans I can dream up! I am looking forward to having the summer off – to not worry about classes, reading what I WANT to read, and just enjoying time with my family! I plan on attending the Minnesota Early Childhood/Kindergarten conference in May, and then shortly after that hop on a plan for our annual trip to Norway. PS – I am afraid I have to admit as I was looking at the pictures of my classroom, I have thought of another idea for furniture placement! Ahh…the curse has begun! Check out this adorable new video from Softsoap! What a fun and catchy way to help children remember to wash their hands. I know I will definitely be using this adorable video next year when we start school! Eight more days of this school year. Phew. I am R.E.A.D.Y.! It’s recital week. That means rehearsals, hair, bobby pins, tights, shoes….AND it’s my daughter’s 9th birthday tomorrow! The first song is my “fancied up” version from Kim Adsit’s Calendar Pack. She has a song for every month! If you want to get started with calendar book, you really should pick up her resource – she has got everything you need to get started and keep adding to your calendar book throughout the year! The second song is from Jessica Meacham’s site. 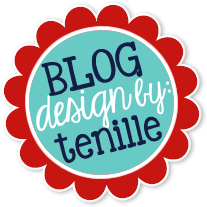 As always, leave me a comment if you download – comment love makes the blogging world go ‘round! Two things to make you laugh…. I laughed out loud at this one….."not tooting gas….” he he! So, I know there have been server issues on TpT tonight, so I’m extending my sale through tomorrow! I hope to stock up on some of the things that I wasn’t able to purchase tonight too! I have been working tirelessly (well, I am a bit tired) on my final project and presentation all day today. Wanna see my Prezi? That’s my presentation for tomorrow. I will present my final project for my adviser and other members of the Education department tomorrow. Wish me luck! I know you just can’t get enough of our ND weather. Seriously? Snow? Again? This is the 7th (yes, SEVENTH) consecutive month of snow here. Fingers crossed that it will be gone by tomorrow. I’m putting the final touches on my grad paper today, plus my presentation tomorrow AND one more paper to write for another class. I hope to be back later today with some posts, downloads, and a big SALE!